Ice cream for dinner. As a society, we don’t do that near enough, so when a co-worker suggested it for dinner Friday night, how could I say no? I let her pick the place because she knows Grand Rapids better than I do. Without hesitation, she suggested a place in Alger Heights. Sweet Mellisa’s started life as a cupcake business with no store front. 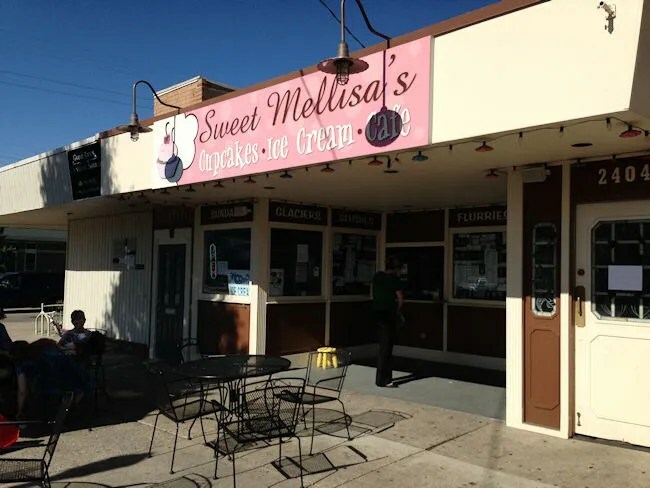 Last summer, that changed as Sweet Mellisa’s opened up a walk up window near the corner of Eastern Avenue SE and Alger Street SE. The area where the little cafe opened is the commercial anchor of the Alger Heights neighborhood. Parking is along the street where you can find it. We found a spot just down the block on the opposite of the street and walked back to Alger Street to make our way to deliciousness. 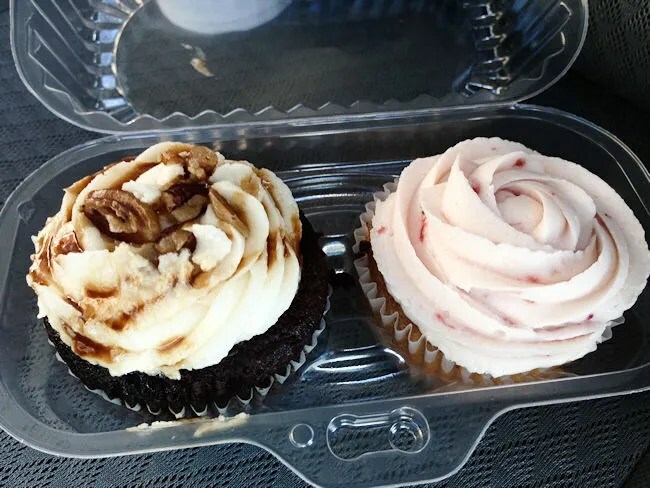 The original business was cupcakes and, according to an article in The Rapidian, the owner decided nothing goes better with cupcakes than ice cream. The stars at Sweet Mellisa’s are the cupcake sundaes. They’re made with home made cupcakes and Moo-Ville Ice Cream. My eyes darted right towards the Oreo Cupcake Sundae. 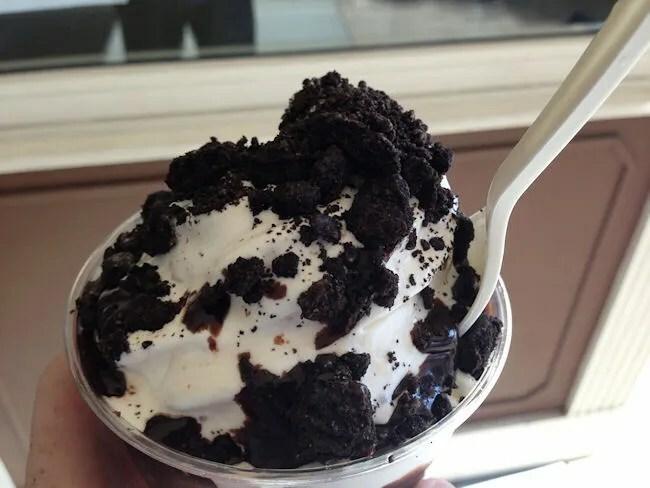 This delicious cup of sundae goodness starts with a chocolate cupcake that is topped with vanilla soft serve, hot fudge, and Oreo cookie pieces. The cupcake made this sundae. Minus the cupcake, it’s a pretty standard, yet still yummy, sundae, but with the cupcake, incredible. My co-worker opted for my usual. She ordered the Reese’s Peanut Butter Cup Flurry. The soft serve ice cream is mixed with peanut butter cup pieces then topped with even more of the candy. At a normal ice cream shop, this would have been my go to, but I’m happy I went with the cupcake sundae instead. Before leaving, we went back to pick up a couple cupcakes to bring back for co-workers. By this time on a Friday night, the selection was a little thin, but we still found a couple good ones to treat our co-workers who are stuck inside all night. My part of the bill was just a little over five bucks. CW picked up hers and the cupcakes for the other colleagues. Her bill should have come out somewhere around ten bucks. 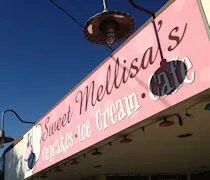 Sweet Mellisa’s is a great summer time treat. I love the mixing of cupcakes and ice cream. 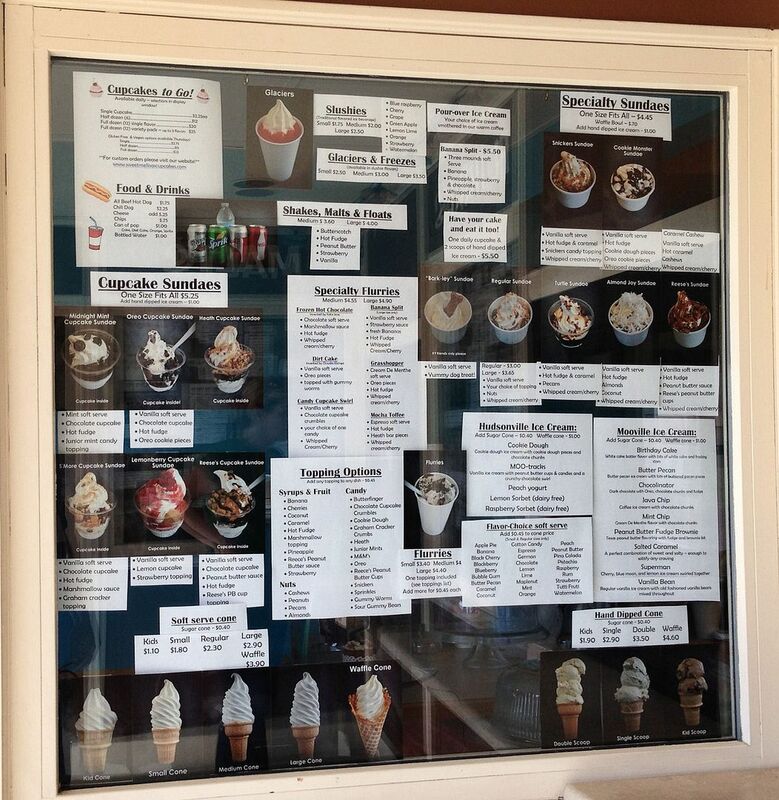 It’s the epitome of the neighborhood ice cream shop. It’s in an easily walkable neighborhood and the large outdoor dining room is the perfect way to end a hot summer day with the family.